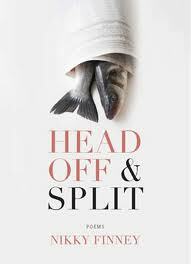 I was pleased to see that Nikky Finney's newest volume, Head Off Split was no. 3 on the Best Sellers in Contemporary Poetry List for the Week of February 27. The previous week Finney's book had been no. 19. Poetry best sellers are far less than the general best seller list but still. Finney is the subject of a feature profile in the March/April 2011 issue of Poets & Writers and appears on the cover. I was pleased to see her image there, as I know it'll bring her work some much deserved attention. The profile on Finney, by the way, makes you aware of all kinds of interesting facts about her. Most notably, when she was young and reading poems at events in South Carolina, people referred to her as "Nikky" in reference to the more widely known poet Nikki Giovanni at the time. 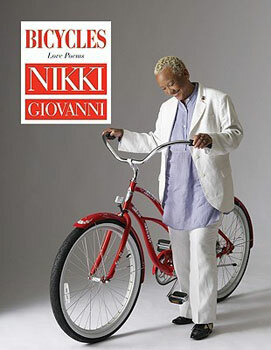 So the reference stuck, and we now have the poet Nikky Finney, who's good friends by the way, with Nikki Giovanni. In fact, Giovanni helped Finney get her first book published. 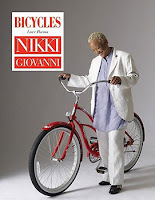 Speaking of Giovanni, three of her books, The Collected Poetry of Nikki Giovanni: 1968-1998, Bicycles: Love Poems, and Quilting the Black-Eyed Pea: Poems and Not Quite Poems appear on the poetry best seller list. Her Collected Poetry and Bicycles are tied for no. 15. Quilting is no. 17. There are a few other black poets on the list. Kevin Young's Ardency: A Chronicle of the Amistad Rebels is no. 7. Alice Walker's Hard Times Require Furious Dancing is no. 16, and Terrance Hayes's Lighthead is no. 20. If you look over the list, you'll notice that some white poets have been selling quite well for an extended period of time. Billy Collins's The Trouble with Poetry and Other Poems has been on the poetry best seller list for 201 weeks. Mary Oliver's Thirst, Red Bird, New and Selected Poems: Volume Two, and Blue Iris: Poems and Essays have been on the list for 181, 102, 199, and 141 weeks, respectively. Charles Bukowski's The People Look Like Flowers At Last has been on the list 123 weeks, and his volume The Pleasures of the Damned: Poems, 1951-1993 has been on the list 113 weeks. Giovanni's Collected Poetry has been on the list 110 weeks, and her her volume Bicycles has been on the list 53 weeks.